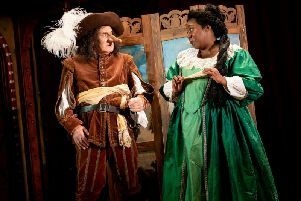 A cheeky and original script will see some fairy tales given an adult treatment by Irchester Players. The plot unravels in the magical, enchanted forest where the princesses and princes of our childhood fairy tales have gathered for the wedding of the last of the fairy tale princesses. But, the baddies, from the dark castle of the Evil Queen, hatch a plan to stop the marriage taking place. Due to the nature of the material, the show is not suitable for people under the age of 15. Performances start at 7.30pm with doors at Irchester Village Hall opening at 6.45pm. Tickets cost between £6 and £8. To book or for more details www.irchesterplayers.co.uk/boxoffice or call the box office on 01933 80037 or from Looking Good Hair Salon.